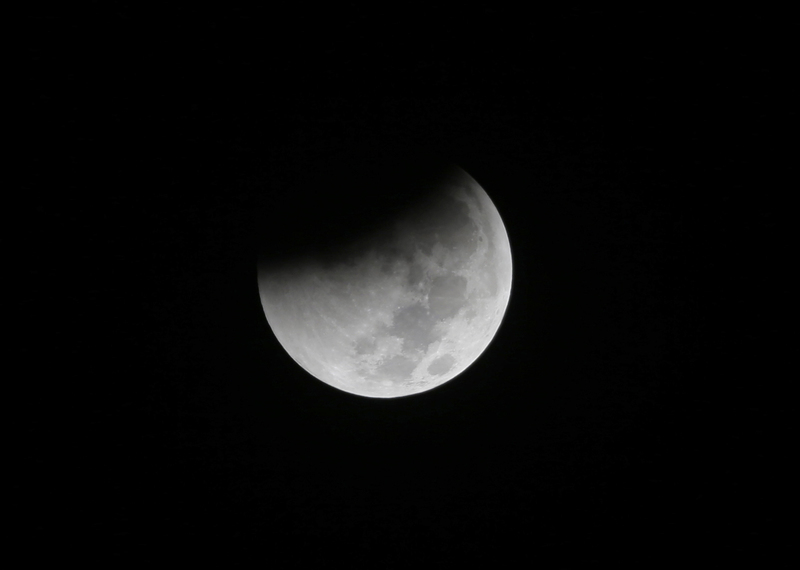 Photo: In this Saturday Aug. 28, 2018 file photo, Earth starts to cast its shadow on the moon during a complete lunar eclipse seen from Jakarta, Indonesia. Cape Canaveral, Jan 18 : The moon, Earth and sun will line up this weekend for the only total lunar eclipse this year and next. At the same time, the moon will be ever so closer to Earth and appear slightly bigger and brighter than usual — a supermoon.